The outstanding and unique aroma and rich buttery taste of Farm Ghee and Butter are the result of a special process that uses the highest quality cream, produced by selected herds of dairy cows and lovingly converted into these superb products that will make any dish a tremendous success and you the envy of every housewife! Farm adds that unique taste to all your favourite dishes like rice, desserts, kabsa, pastries, saleeg, foul medames or any other dish. 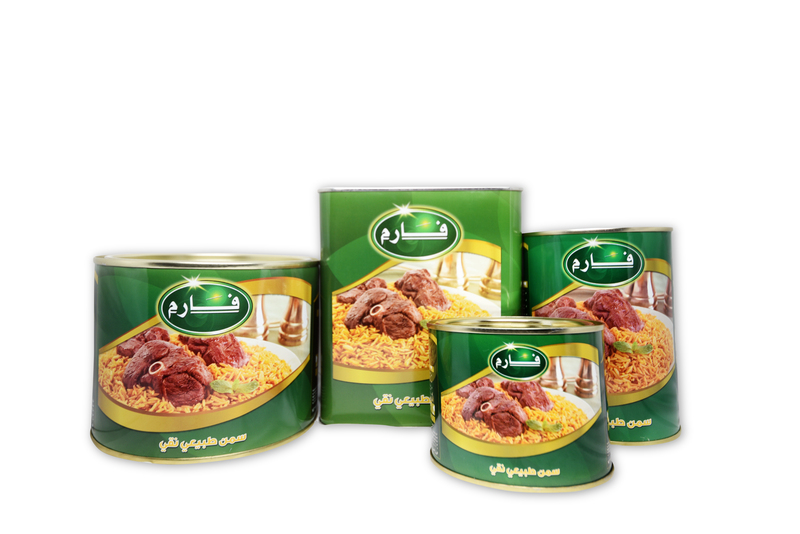 Available in the following convenient sizes: 400g, 800g, 1600g, 2kg, and 15kg.